Braving the rush hour crowd on the MRT and public buses can be bitter, while taking a taxi unforgivingly shifts the strain to your wallet. But unknown to many, there is now a third option, courtesy of a government — a seat on a private bus that you can book with an app. Launched in August, Beeline is part of a nationwide experiment to provide commuters an alternative means of transport between the heartlands and the Central Business District (CBD). The service is currently in a trial phase, which will likely run till the first quarter of 2016. 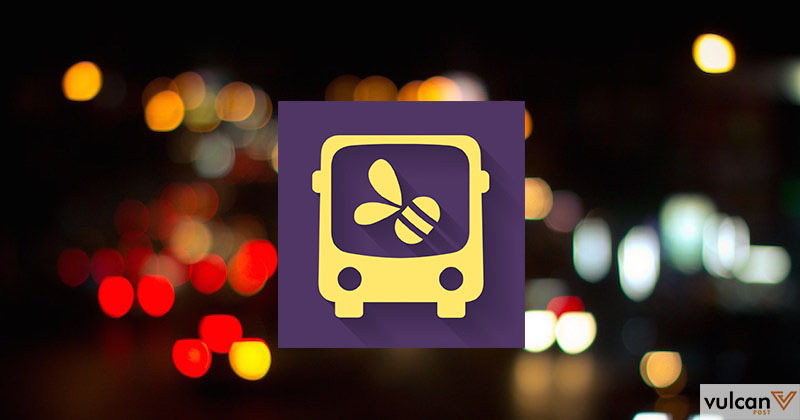 The Beeline app is available on both Android and iOS, and offers 21 routes during the morning and evening peak hour. Each ride usually costs between $5 and $6, but an ongoing promotion has reduced the price to $2 for the month of December. Beeline could certainly pave the way for more innovative transportation solutions, yet, there doesn’t seem to be as much hype over the app as there could be. In October, Channel NewsAsia reported that the service is undersubscribed, with each bus carrying an average of only two to three commuters. We decided to check out Beeline for ourselves. While the onus of booking your ride in advance falls on you, Beeline does make the rest of your user experience smooth. To begin with, signing up for the service was quite a breeze; I just had to provide an email account and password to get started. After which, I could browse through available routes. I was travelling from Tanjong Pagar to the west, and the closest ending point I could find was several MRT stops away from my actual destination. Then again, that wasn’t too big a grievance, given that it would allow me to avoid the rush hour crowd for the greater part of my journey. Once the route was confirmed, I could select the day on which I wanted the service, with the option of purchasing tickets for several days. Payment on the app can be made via Paypal or card. I chose the latter option, and the transaction went through without any hiccups, leaving me generally satisfied with the ease of booking my ride. The ride itself was also a pleasant experience. True to Singapore’s brand of impeccable efficiency, the service standards were great. The minibus arrived right on time at 6.35pm; it was clean and comfortable, and the driver was friendly. Unfortunately enough, there were only four of us on the bus, which looked like it could seat up to 15 people. However, he also noted that the Beeline app crashes sometimes, and expressed hopes for alternative means of booking a ride. “It would also be better if they added another channel of payment, such as through the web,” he said, adding that he would nevertheless continue to use the service. As a first-time user of Beeline, I definitely did feel that the service was worth the $2 I paid for it, since a ride on the MRT would have cost me around the same price and taken about the same duration. However, once the promotion runs out, the price will likely be a major deterrent for me. At the same time, I can see how Beeline can still maintain its consumer base among white-collar workers who typically ride taxis to work. It’s worth noting that the concept behind Beeline isn’t completely new; the current City Direct scheme already taps on private buses to provide non-stop rides to and from the CBD. 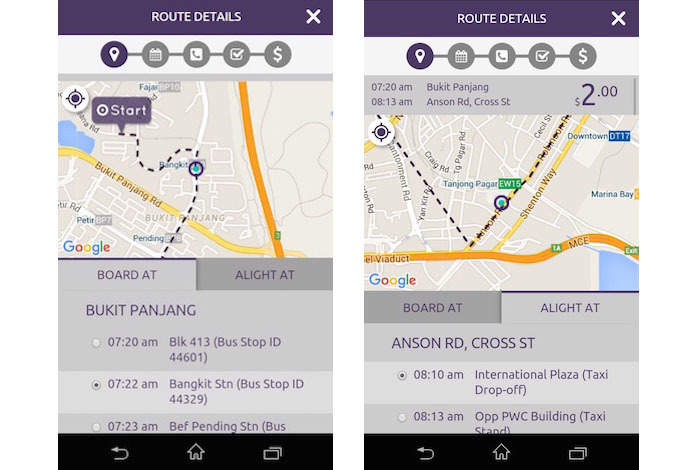 But what’s unique about the app is that it uses crowdsourced information to plan routes; users can submit requests for a specific route, and if there is sufficient demand, the proposed route is forwarded to the participating private bus companies, such as Bus-Plus. As of October, Beeline had received over 10,000 suggestions from commuters. Other than the convenience factor, there are long-term benefits to Beeline. As property portal 99.co has noted, initiatives like Beeline could make residential areas in far-flung locations more favourable to live in. And as Liu Feng Yuan, director of government analytics at the Government Digital Services, noted in an interview with GovInsider, diverting commuters from taxis to private buses is a “big win” for environmental sustainability as well. Yet, there are also significant challenges, should the government decide to implement Beeline on a wider scale. Dealing with traffic jams is one of them — while I didn’t experience any traffic delays during my ride, there is definitely a chance of getting stuck in traffic along more congested routes. The relatively steeper price will be another pertinent issue, especially if Beeline is seeking to cater to a broader consumer base. It will be interesting to see what insights Beeline can give us at the end of its trial phase, and whether the app will be implemented more widely. I certainly hope that it becomes a permanent addition to the transport landscape of Singapore, and that we see more of such solutions coming not just from the public sector but even from startups. And while we await the results that Beeline has to offer, I also suggest you take advantage of that $2 promotion while it lasts.